William Walker was born in Virginia in 1806. He lived for a time in Mississippi until 1838 when he became an early resident of Houston. On his trip to Texas, he escorted the wife of Magnus T. Rogers who fought in the Texas Revolution. Many years later, Rogers died and his widow became Walker’s wife. 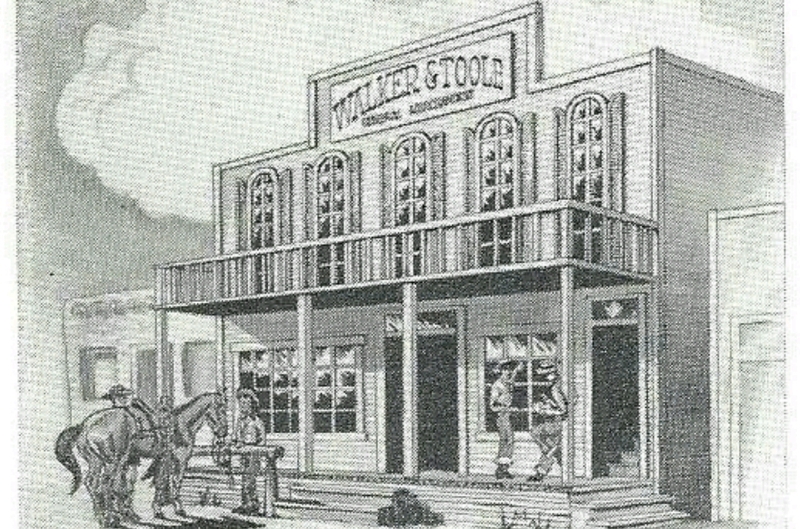 In Houston, Walker built a mercantile business and became one of Texas’ leading store-owners. 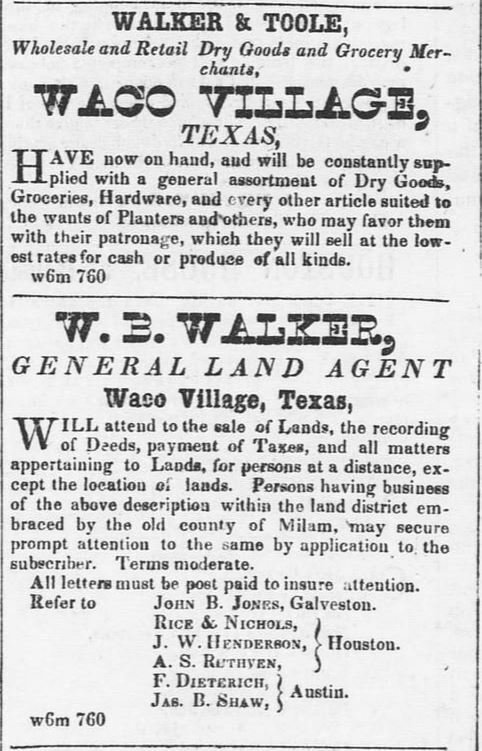 In addition to his main business, Walker also worked as a land agent for Houston, Waco, and the surrounding areas. He was politically active in Houston until he moved to Waco about 1850 where he served on the city’s first jury. In 1851, Walker was appointed as Overseer for the Waco-Austin Road which ran through Belton. A year later, Walker served as McLennan County Commissioner. His home was said to be atop a hill overlooking what is now Lake Waco. It was Brother Walker and Brother James Toole that built and owned a merchandise store on Bridge Street in the early 1850s. The second floor served as the first meeting place of Waco 92. Walker and Toole also provided the lodge with its original furniture. Walker was the Senior Warden under dispensation when we received our charter and then was our first Junior Warden for our first full year 1852. When our first Worshipful Master Elect, Robert Hulme, died in 1852, Walker took up the deceased brother’s estate and executed the will. About 1873, Walker moved to Dallas. All along, he had maintained his mercantile business in Houston, Waco, and other towns. He continued in these efforts as he managed a new store in Dallas until his death there at 9 p.m. on February 18, 1885 at his home on Masten Street.